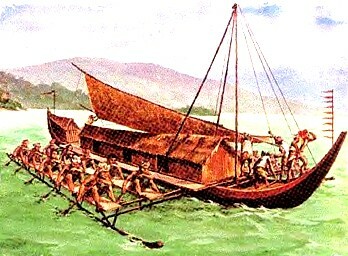 Home » Barangay » History » Philippines » Watercraft » What is the oldest watercraft found in the Philippines? » What is the oldest watercraft found in the Philippines? What is the oldest watercraft found in the Philippines? A plank boat adjoined by a carved-out plank edged through pins and dowels. It was first mentioned in the 16th Century in the Chronicles of Pigafetta, and is known as the oldest watercraft found in the Philippines. When the first Spaniards arrived in the 16th century, they found the Filipinos living in well-organized independent villages called barangays.